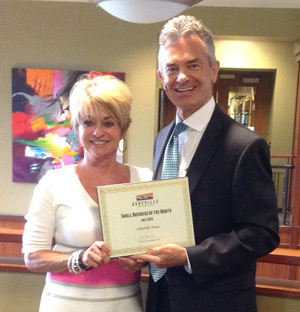 The Asheville Chamber is pleased to recognize Asheville Fence as Small Business of the Month. The family business has served WNC for more than 40 years. 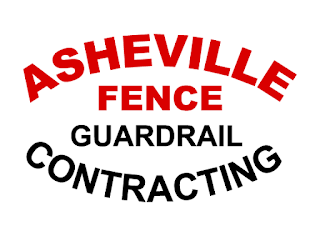 Asheville Fence provides fence, guardrail and automated gate installations for homes and businesses. The company is committed to the highest level of customer service, quality construction and professional integrity. "We're proud that we have been able to build a thriving business and to also obtain great advice and help from outside resources," said owner Carla Maddux. 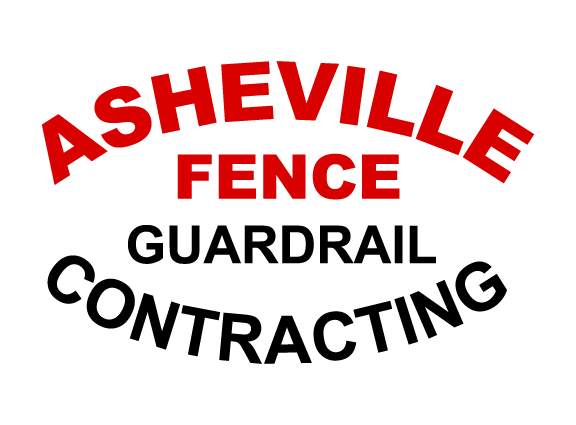 Asheville Fence stays focused on their impact in the community and strives to create a customer experience that is above and beyond. Fostering a positive work community is also important to Carla who says staff are like family. "We want to create a professional nurturing environment, where they want to come and work, to grow and commit to the success of Asheville Fence," Carla said. What's next? "We're looking to continue to grow and develop our people and service to be the very best fence company in WNC," Carla said. In 1966, JC Holloway Sr. retired from Southern Bell after 42 years and bought the Asheville Fence Company. He then called his son, to come and help him in the fence business. His son Jerry had a career in Finance and was at the time living in Biloxi, Mississippi. “By day they sold fences, and by night they built them” was the expression. In 1984 after going through a divorce, Jerry met Carla. She came to work at the company in 1984. “Jerry asked me and my three children out, not simply me. He had three children of his own and understood our situation and needs.” A year later they were married. By 1988 they had over 100 employees. They moved to London Rd and bought the building from Asheville Construction. However in 1988 one of their employees was crossing the highway to work on a mower, when an accident occurred, he hit a trailer tractor with a trainee driver. There was an explosion and the driver was killed. After four long years, in 1992, due to this incident, the company was closed. Jerry and Carla, had to start over again. They launched the Asheville Contracting Company (dba Asheville Fence) bought a little trailer and started again from scratch. They worked hard and soon had 20 employees. In 2001 Jerry, was diagnosed with cancer. Six months later he died. “Jerry died on Wednesday, I buried him on Saturday and went back to work on Monday. I didn’t know what else to do. I had not run the business, I had simply kept the books.” Carla thought the best strategy was to go and sell the business. A friend of hers had her speak with her husband who looked the books over. After his review he gave Carla some sage advice. “This is a good business, so go and whine to my wife, but get to work!” Carla took the advice and went to work. 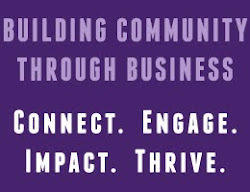 She took leadership classes at the Asheville Chamber, and looked for good people and wise advice and guidance. A year later she met Mike Maddux. She asked Mike to come and work for her. Within time, Mike and Carla were married. Mike had one child, so Carla has now raised eight children. Today the business continues to grow, they built their building they are in today, and with 24 employees, have built a strong successful team.